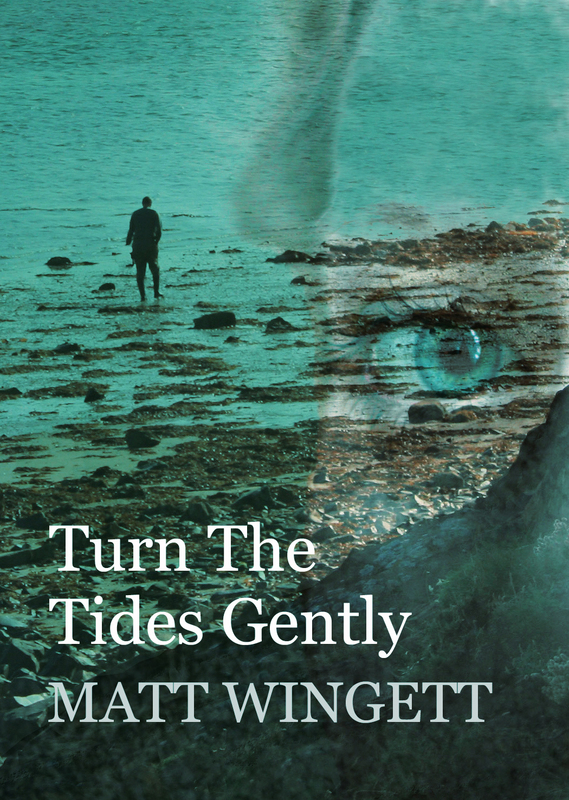 Turn The Tides Gently is a new e-book from Matt Wingett that's all about madness, mermaids, hallucinations and time distortion. Set on the island city of Portsmouth, this tale unwinds just as the central character's grip on reality begins to unwind. Filled with glimpses of the past and smells of the future, it is written with a poetic flow that draws you through from beginning to the end, making it pretty much unputdownable. The first of a series of stories about Portsmouth, this e-book is written to novella length - making it a short fast read for a journey - and it is priced to match. Matt Wingett was previously a screenwriter from Thames TV's "The Bill", and is a trained hypnotist and expert in Neuro-Linguistic Programming, the mind management system made famous by life-style expert Paul McKenna. The opening sequence below gives a real sense of the flow and style of the piece - but beware, before you start... unlike the swimmer below, you might well find that you are hooked! 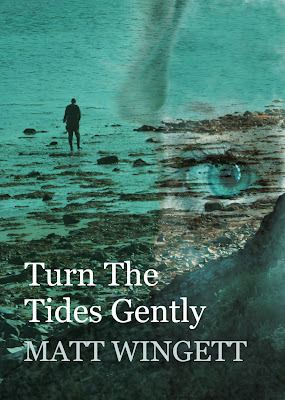 Turn The Tides Gently is available for Kindle from Amazon at http://amzn.to/YouCanTurnTheTide it's also free to download from the 6-8 Jan from Amazon. Why not have a read and let us know what you think? At first the hallucinations come to him in silence, as they always do. Carriages from a different era moving beneath starlight, then the sound of wheels clattering along the cobbles, and finally the pungent smell of horses, their dung on the floor, the acrid reek of piss - a rich, rancid perfume, overloading the senses. It's as if he's looking through the surface of a soap bubble: figures walking the nightbound streets – uniforms of old soldiers not old any more, the police officer on the corner in a cape and high helmet. From across the Common, where the Royal Marines sleep in rows of tents before embarkation, a long-dead trumpet call from the older city briefly drowning the newly-wakened birds of the present. Through the Pompey night, he heads along the island's streets to the shore. The spring sky is mottled with occasional clouds, and in the cold air he smells the smoke of a coal fire lit by a maid to warm a copper in a scullery. He even imagines he can hear the sleepy voices of her children, waking to a lightless pre-dawn. As he steps onto the shingle beach, all shimmered upon and sparkling in the moonlight, a deep silence breaks out, as if an unseen attendant has closed a door behind him. The stillness holds for a few seconds, until he hears the sea again, and confirms the presence of the modern world: shimmering across the Solent, a ferry with its stacked decks lit up and looking like a wedding cake, all sparkling and iced. I have visions, he says to himself. They always seem so real – realer than the world I really live in. He looks down at his hands, as if they might help him grasp things more tightly. Doctor Cassell tells me to ignore them. But I always know I'll get another one. A woman. There's a woman in the sea! - with lank, long wet hair – there, in the moonlight! Her breasts catch moonbeams and shimmer in the light – and then she is gone, vanished beneath the moon's silver path. He glares an accusation at his trembling hands, bites his lower lip and shakes his head. Then he rubs his eyes and looks again, just to be sure. Nothing there, of course. Nothing. Except for an ever-widening circle spreading outwards, reaching towards him. He holds his breath and rubs his eyes once more. No. I imagined it. The night's sounds intensify, and the moon's light brightens. Something's not right, he thinks. With minute accuracy, he can hear the gentle lapping of the waves on the shore, a restless sound, as if every bubble is speaking its own secret: Shush. Shush. Something hidden. She-ush. A wavering glance across the sea is enough to satisfy him it's empty. Just water, he tells himself, only half-believing. But as he considers the long-diagnosed madness that conjured that image, she surfaces again. Her head is up now, out of the water, her mouth in the soft ecstasy of what he thinks a woman drowning must look like: her arms raised out of the water seemingly helpless. He sees her like this for a second or so, frozen in time. Then down she goes again. He is riveted to the spot in disbelief. After maybe two minutes under the water she surfaces a third time. It's impossible! But no, perhaps not. A scenario flashes before his mind's eye. A clubber, maybe, a little high on drugs; she took a playful dive in the water, and here she is – drowning in front of my eyes! She's real! He shouts – breaking across the night's sounds with a voice sounding strangely thin and flat over the sea, as if he is shouting in a padded room. He doubles backwards and forwards in helpless panic at the Solent's edge looking about him with big wide eyes, not sure what to do next. In response she suddenly stops, stock still in the water and fixes him with a curious gaze. Her movements are reminiscent of how a woman looks if a stranger walks into her boudoir and interrupts her while combing her hair. For a moment, their eyes meet, and then, as she realises the situation, she suddenly throws her arms up and, with an almost ironic gesture, disappears beneath the surface, gasping and spluttering, the brine closing over her head. He steps into the water, but the cold shock sinking through his trainers makes his neck hairs stand in reflex, and he remembers he cannot swim. It also shocks him back to reason. She surfaces again, spitting a spluttering arc of brine and he turns tail and scuffs up the beach to where the life-ring stands in a plastic box by the ice-cream kiosk. Drowning. I can't have her drowning. He lifts it quickly and champ-champ-champs down the shingle to the shoreline, where, with a mighty throw he hurls it to her. It's a bad throw: over-eager, and panicky, and he curses as it appears to collide with her, so that, suddenly disoriented, her body flattens on the water. Dazed, she grips the ring, and in this way he pulls her in – netting a helpless woman from the sea, her shining skin pale in the moonlight. When he draws her closer still, he wades in to land her. “It's okay. It's okay,” he says, reaching down to her icy body, only half able to see her through the darkness and the mesmeric moonlight, but nevertheless feeling a supernatural sense that something is not quite right. He hooks her under her arms and pulls her up from the water. Now she really starts to struggle. A violent crazy thrashing in the water, that makes him gasp at her power. “Don't panic, I've got you,” he says - but no he really hasn't. She is as slippery as a fish, and utterly set on drowning. They lock into a battle of wills, and her thrashing in the water scatters the moonlight like spilled jewels, while the dark sea noises all around them are filled by the sounds of other voices calling in the night. A strange language hisses and gurgles around him, and he looks away from her to see the heads of others in the water, shouting to her and glaring at him. He stops a moment, absolutely frozen, lost in surprise and utter confusion at these unexpected apparitions. She seizes her moment - slipping from his arms, and splashing back into the sea. And he is sure, utterly convinced, that as she goes, he sees something - something he cannot quite explain that will haunt him in his dreams. For as she dives into the deeper water, the crossed fins of a tail rise high into the air behind her. He stands, staring at the scatter of widening circles where all the heads that were glaring at him disappeared, and at the spot where she thrashed and foamed. Then he sits down, soaking, suddenly cold and afraid, and not sure what to do next.